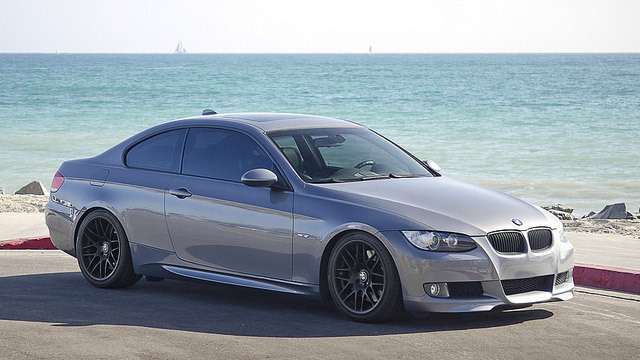 BMW drivers continue to choose Complete Car Care in Encinitas for auto repair. Our auto mechanics are trusted by families throughout Encinitas, Carlsbad, Rancho Santa Fe, and beyond to efficiently and effectively service their beloved BMWs. As a facility committed to helping keep you and your vehicle safe and secure on the streets of Encinitas, Carlsbad, and Rancho Santa Fe, we have your back. While our auto mechanics are servicing your BMW, we encourage you to rest and relax in our waiting room at Complete Car Care in Encinitas. You can stop and smell the fresh flowers we have adorning our lobby, have a cup of hot coffee, or treat yourself to a delectable cookie. If you have somewhere you need to be, you can utilize our shuttle or loaner car service. Because we recognize your time is valuable, we can even pick up your BMW, service it, keep you updated each step of the way, and drop it back off to you. “I don't recommend movies, I don't recommend restaurants, I don't recommend anything because there's no accounting for taste. What I like others may not. But in this case I will make an exception. I went to Complete Car Care by mistake, thinking it was another car place in the same mall and it was the best mistake I ever made. As long as Complete Car Care performs the service my car needs, I will never take it anywhere else. The owner Andy is a wonderful guy that honored a coupon that I had for the other shop, he worked with me on the price because I was seriously broke, and performed the service in an expert and timely fashion. I would be comfortable recommending Complete Car Care to anyone, enthusiastically, too.” -- James L.
The next time your BMW needs service, turn to the team of auto mechanics at Complete Car Care in Encinitas. We are the go-to auto repair shop for Carlsbad, Rancho Santa Fe, and Encinitas drivers, as we are directed by a strong moral compass, offer exceptional auto repair backed by a 3-year/36,000-mile warranty, and convenient loaner and shuttle service. What more can you ask for? Schedule an appointment today, or stop by at 318A N El Camino Real, Encinitas, CA 92024.